Last week, the first of a new kind of industry event took place; an open debate between agents and PropTech suppliers. Strong words were spoken on both sides. I wasn’t able to attend the myself, so this is a collaborative piece between myself and Charlie Wright, the event organiser and founder of BestAgent. There were 50 spaces. 75 people showed up - standing room only. Bizarrely for our industry, almost everyone was on time despite many traveling from far away for an 8.30am start. Katie Griffin, a serving board member of NAEA Propertymark as well as its former President, herself the owner of a three-branch agency in Devon. Iain McKenzie, chief executive of The Guild of Property Professionals with 800 agent members, all small independents. Christopher Watkin, a former lettings agent turned industry journalist, accompanied by Kristjan Byfield and Perry Power, both high profile owners of successful independent agents in Shoreditch and Reigate respectively. You may think that only five agents versus a room full of 70 members of the supplier industry sounds like an unbalanced debate, but the passion that came from all of the panel members was undeniable and powerful. They were speaking for their entire industry, giving some harsh but fair feedback with both barrels. The fact that it was a ‘brandless’ debate with no names mentioned made it a constructive overview discussion, rather than the name-calling brawl it may otherwise have become. It was the first opportunity for such a discussion to take place, and the open Q&A with the panel after they had each made their own brief address was highly-charged. The supplier community is failing to listen to, understand and collaborate effectively with its client base. The result is that agents are typically using around 10 different suppliers, with only one or two of these being integrated with their CRM systems, resulting in a new phenomenon coined by Kristjan Byfield as ‘interface fatigue’. I think this is a really interesting and important thought and it’s certainly not restricted to the residential sector. 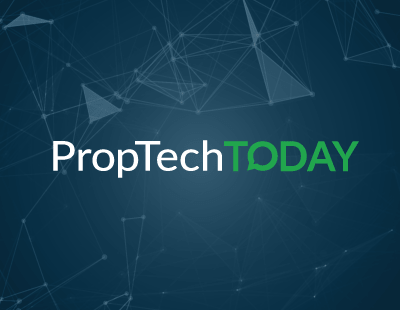 I have said all along that one key point on PropTech solutions is that they are focusing on small problems and are not really focusing on creating the more comprehensive solutions that are needed. But the most common message from the speakers was that, while there is some great PropTech coming to market, too many new offerings are not addressing agents’ real problems. Some are even undermining agents’ businesses. Some anonymous examples were given; product types and pitches which clearly display a lack of understanding of how agency works. Iain McKenzie appealed for suppliers to take into account regional differences in the sales vs lettings balance, and to consider differing fee values in each part of the country, acknowledging that this influences the potential return on investment calculation. Katie Griffin implored suppliers to never again use the “you only need to sell one extra house to pay for our service” pitch. I agree, it’s a somewhat condescending act of oversimplification. Apart from the Agent Panel Q&A debate, which everyone found insightful, the other notable feature of the day was the demo of the BestAgent platform itself. To offer a little context here, BestAgent is a free, 100% mobile, basic CRM system (property and applicant database, portal uploading and a website) for agents. Founder Charlie Wright gave a live demo of the serverless-based product on a smartphone over a 4G mobile connection, demonstrating how quickly an account can be created using social media logins; how a property can be published to Rightmove and Zoopla instantly; with a valuation created in under two minutes using voice input for the description. Because of the widespread view that more integration would help agents and suppliers, a fact that was known in advance of the event, it was important to invite all the mainstream CRM providers to the debate. Despite all CRM providers being invited, chased and encouraged to attend, disappointingly only three companies sent representatives. In a video from the event posted on LinkedIn by Christopher Watkin, Iain McKenzie cited protectionism as one of the reasons that some CRMs are reluctant to integrate with third party products. In the same video interview, Kristjan Byfield noted that this is the start of a discussion that may lead to an ‘industry standard API’ which would allow tech companies to better collaborate with each other as well as with agents. “That would be a huge thing for our industry,” he said. 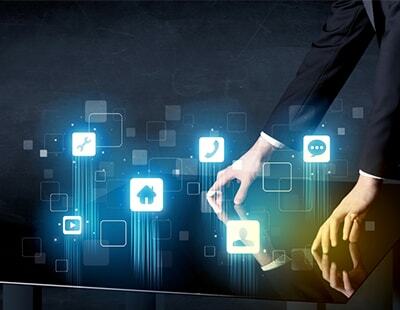 An industry standard API is a great idea and a utopian ideal. Is it possible? Hmmm…could be a difficult task, but that is exactly what BestAgent Marketplace has set out to achieve in conjunction with its existing 21 signed partners. With a further 100 suppliers apparently expressing interest and supporting the concept, it may all come down to whether or not the CRMs want to play ball. Either way, I really hope more conferences like this encourage these sorts of discussions and debates because such back and forth can help build relationships which can work to create business ideas and plans for the future. Maybe, just maybe, this can help break some barriers for others to make headway. It’s time for tech to stop telling property what it needs to do and start actively listening and reacting to user feedback. Or, at the very least, clearly and explicitly explaining the decisions they make and directions they take. Firstly, thank you for summarising. Second. We had the same conversation with the OnTheMarket rep last week, being able to custom build a CRM rather than choosing one off the shelf would be a real bonus to all sizes of businesses, being able to integrate your preferred board supplier, reference company, etc. would be great, however, currently where applicant importing from portals is hit and miss, perhaps rather than trying to get the existing CRM's to change, it is time for them to re-code for better integration, surely this will encourage ideas and bring down costs for all suppliers and users?